AutoCad DXF & Open Document Text formats support. Delivered as .NET WinForm, ActiveX, WPF and ASP.NET components. 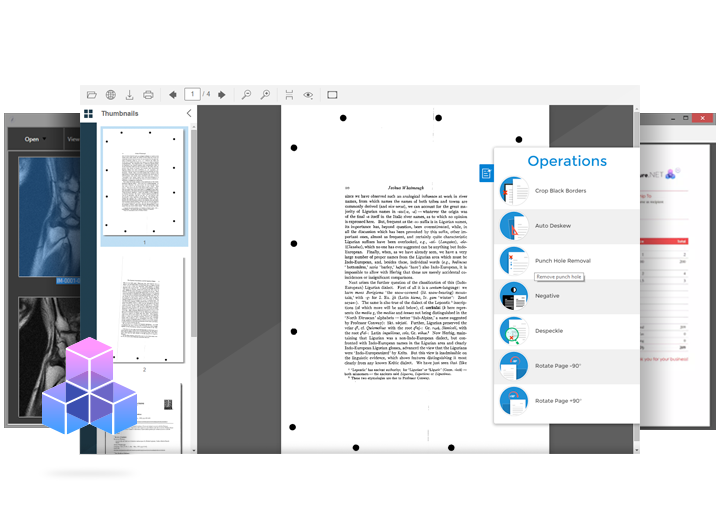 Capture, compose, display, annotate, clean-up, edit and print documents. The Faster HTML Viewing & Document Management WebControl For ASP.NET Web Forms and ASP.NET MVC. 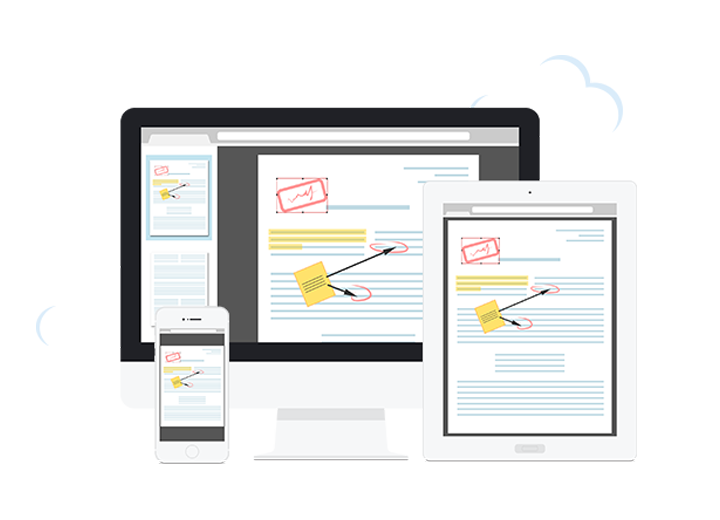 Display, annotate and manage any document, including PDF & DOCX. End of Year Sale: 15% off Editions, Plugins, and Upgrades. Contact us for details. 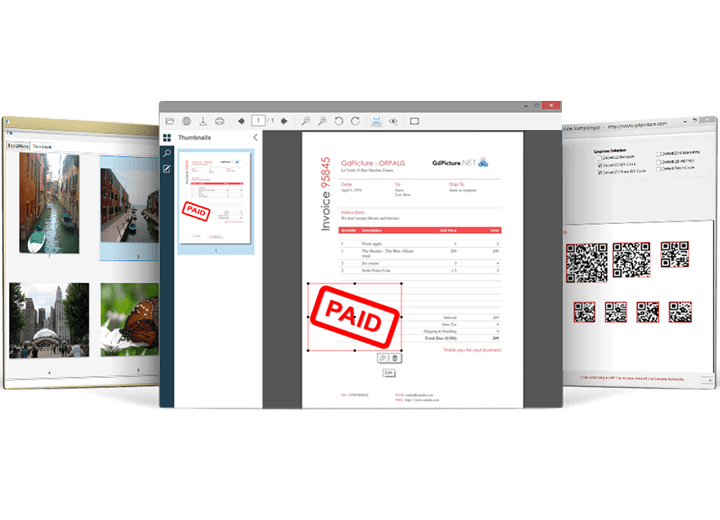 100% Royalty Free Document Imaging SDK and Image Processing SDK For WinForms, WPF, And Web Development. GdPicture.NET is an all-in-one toolkit: PDF, document imaging, image processing, forms processing, scanning, barcoding, printing, OCR, OMR, MICR, annotations and much, much more. No need to buy several products anymore, GdPicture.NET Imaging SDK does it all! We have a 13+ years’ experience and recognized expertise in the imaging domain. We have a growing community of 15 000 developers and we offer outstanding support. How can we help you? If you are a big corporation or a small business, we have configurations for each situation: you need a license for a single developer or a whole team? You need an annual maintenance? GdPicture.NET is royalty-free in all cases! We develop our own features and GdPicture.NET now includes thousands of functionalities. Our imaging SDK has simply become essential to build any application, so let us bring you the best technologies! I just wanted to say how happy I am with this product and your service. I’ve had a couple things I needed that I couldn’t figure out how to make happen and within a couple days of notifying you on each instance, you had an update for me. The more I get into this control and see what all it can do, the more excited about the possibilities I become. Keep up the great work! I wish many other developers and support staff would take lessons from you guys. While GdPicture’s functionality and performance is impressive, what has really set them apart for me is their service. My application frequently processes legal documents around 5,000 pages, which creates unique challenges that I doubt many of their other customers face, and the few times I’ve had an issue they’ve immediately responded with a fix within days. It’s very refreshing to work with a company that actually cares about its users, and I greatly appreciate and admire Loic, Elodie and the rest of the GdPicture team’s work. I spent several months downloading trial sdks, utility apps, etc. None of the utility apps were flexible enough to meet our needs. Several of the SDKs were suitable, but none of them were as fast and accurate and reliable as GdPicture.NET.